If you are storing loose 9 volt or AA or other batteries in a kitchen drawer or a “junk” drawer in your home, watch how you store them. Above all don’t store them loose and rolling around with other metal items, like small tools, paper clips, nails and more of the lovely mix of things we keep in our junk drawers. You also don’t want them loose and rolling around in other items like a camera case, luggage, etc. Keep them stored in their original packaging. 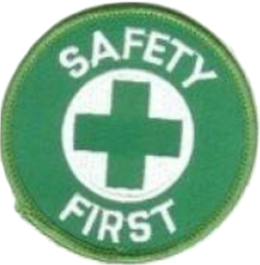 I teach safety to the public, common sense tells most of us what to do in situations that could become life threatening. I speak to 50-60 people at a time about fire safety in the home on a monthly basis. I get the same reaction from every group when I hold up a 9-volt battery and announce that it is a fire hazard and it could cause a fire in your house. They all kinda look at me funny, as if to ask, “Did you just say a 9-volt battery could burn down my house?” That look is almost comical. Q: Where do you store your batteries? Q: What do you do with the batteries when you are done with them? A: Throw them in the trash. A 9-volt battery (see video) is a fire hazard because the positive and negative posts are on top, right next to one another. If this comes in contact with anything metal (aluminum foil, brillo, etc…) it will spark, or get very hot and if there is a fuel for this spark (paper, plastic, tissue) or heat you could have a fire. (fire needs heat, fuel, and oxygen to burn). To test this theory, put a 9-volt battery or a couple of AA batteries in your pocket with some loose change or your key chain full of keys, (use common sense) and see what happens. This will bring on a whole new meaning to the words, “Hot Pants”. When you dispose of this type of battery (positive and negative on top) Make sure it is safely wrapped in electrical tape or something to keep it separate from anything else that may come in contact with it. A small box or zip lock bag if kept in a junk drawer should suffice. I have seen in some stores now that the manufacturers are now packaging them with plastic caps. If you need to purchase a 9-volt battery try to find those that are packaged in this manner. Try to be just as diligent with AA or AAA batteries. Keep them in their original packaging if stored in a “junk drawer”. Don’t let them roll around freely with all the other wonderful miscellaneous items we unknowingly toss in the drawer and don’t think twice about it. 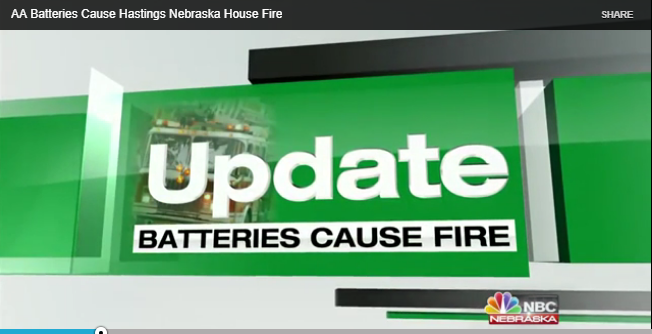 * If You Know of a Fire Incident in Your Town Caused by 9 Volt, AA or AAA Battery Storage in a Home, Please Note it in the comments Section of this Post! Thank You!